How to light a Korry? This year started with some time off the cockpit, panels, diagrams, web… It is now time to continue where I left off. 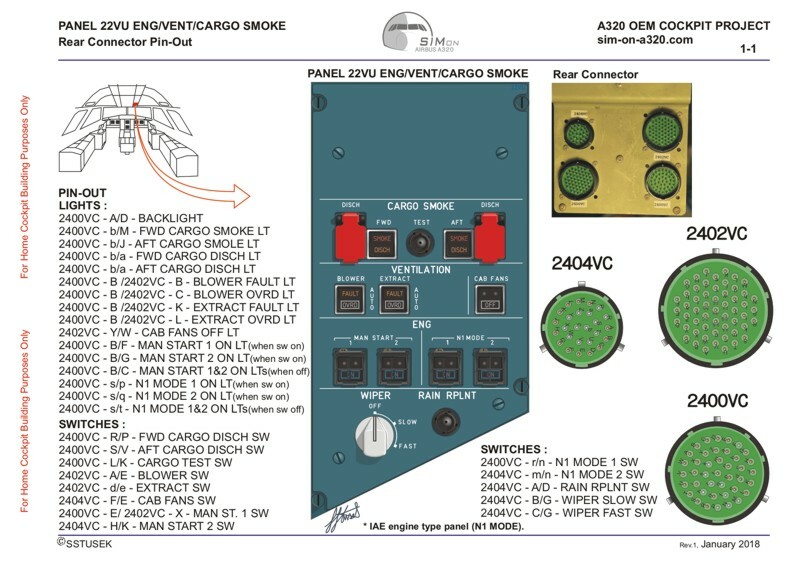 I finished with the 22VU ENG/VENT/CARGO SMOKE panel and put together a 22VU panel pin-out diagram. Panel 22VU is located in the lower right side of the overhead and is a very diverse panel. 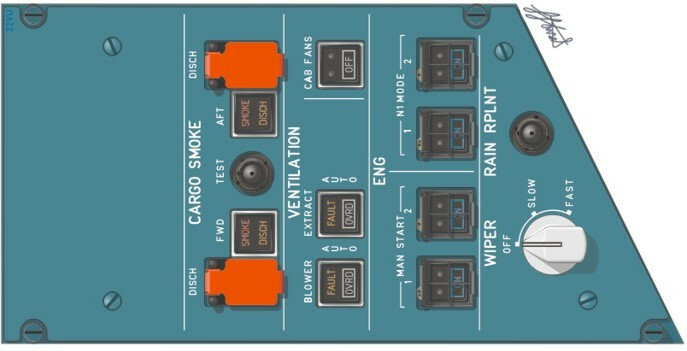 You my noticed there are many variants of this panel specially in the areas of ENGines, CARGO SMOKE and CARGO HEAT. These differences come from different needs and requests of airlines and operators. Some of the differences were never completely clear to me like different cargo smoke controls. Panel 22VU always starts with WIPER control knob and RAIN RPLNT push button. Next, if moving up, there are manual ENGine controls with two guarded MAN START indicator switches (on CFM engines equipped planes). If plane is equipped with IAE engines there are two additional guarded N1 MODE indicator switches. N1 mode is used for changing the thrust control between EPR and N1 (abnormal situation). Above them are VENTILATION controls with three indicator switches BLOWER, EXTRACT and CAB FANS. These control avionics bay blower and extract fan, by pushing switches you change from automatic mode to manual override mode. If smoke is detected in ventilation system fault is triggered and by pushing the switches it will change from automatic to manual mode and override. With some variants there may also be a fourth GND COOL indicator switch. CAB FANS will switch the cabin fans off. Next are CARGO SMOKE system controls. Here different variants are possible, depending on the cargo extinguishing system installed. With the most common system (single agent bottle), cargo compartment is protected with one fire bottle and three nozzles (one in FWD and two in AFT compartment). Such panel will have two SMOKE / DISCH indicators, FWD and AFT, with two guarded DISCH push buttons and a TEST push button in the middle. If cargo smoke is detected, the red SMOKE indicator illuminates for the affected cargo compartment with master warning flashing and repetitive chime. Associated cargo compartment isolation valve closes and extraction fan stops (if installed). Pressing associate guarded DISCHarge button will discharge the agent bottle to affected cargo compartment. Both amber DISCH indicators will illuminate after aprox. 60s when agent bottle has no more pressure. The other type of cargo extinguishing system (two-shot) uses two bottles and meets ETOPS (Extended range Twin engined aircraft OperationS) conditions. 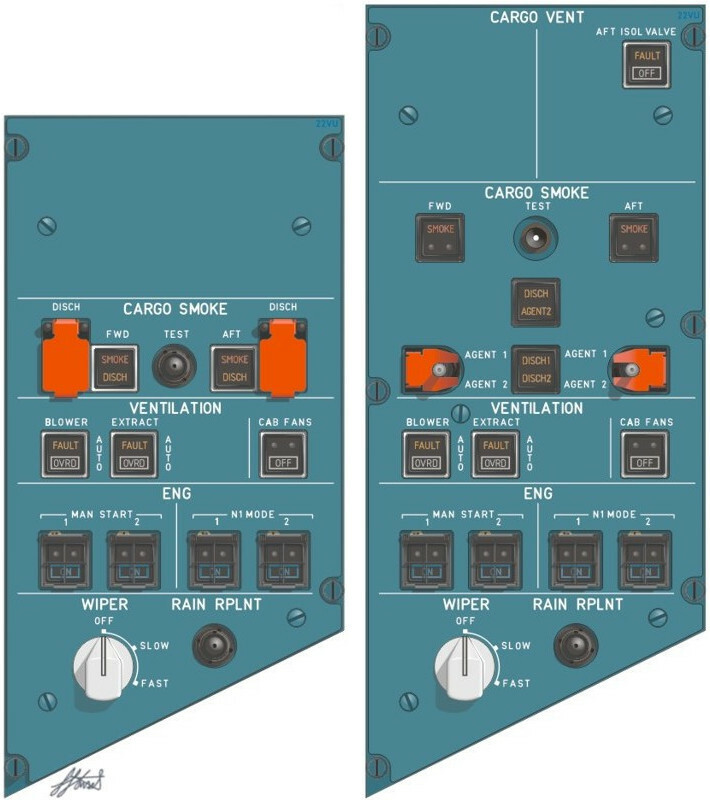 With this version panel will have two SMOKE indicators, FWD and AFT, two guarded discharge toggle switches (FWD & AFT AGENT1, AGENT2), two indicators for DISCH AGENT2 and DISCH1/DISCH2 with a TEST push button. 22VU panel with ETOPS cargo extinguishing system is also larger. The height of the panel in this case is almost same as the larger 21VU panel on the other side. DISCH AGENT2 amber indicator will illuminate1 hour after AGENT1 activation. When AGENT2 is selected the system will take care that there is sufficient agent concentration in the cargo compartment for ETOPS flight duration. Consequently DISCH2 amber indication will illuminate 40 minutes after AGENT2 activation due to slow discharge providing sufficient agent concentration. The last are CARGO VENT-ilation controls at the top of the panel. These controls are rare but some planes also have it. Again many different options and combinations of ventilation controls are possible. Cargo heat controls are also possible for carrying live or sensitive cargo services. Ventilation controls can have HOT AIR or/and ISOL VALVE indicator switches for forward and aft cargo compartments. These can be accompanied by cargo heat control zone temperature selection knobs (FWD and AFT cargo) similar to air conditioning panel. Usually there is only AFT cargo section temperature control present. And this is the diversity of 22VU panel. Genuine MIP frame and screen modification. sstusek on I am still here! Neil Warren on I am still here! Joshua on I am still here! Stefan on I am still here! If you find my page useful and want to show support you can make a donation, it will be greatly appreciated. Thank you! 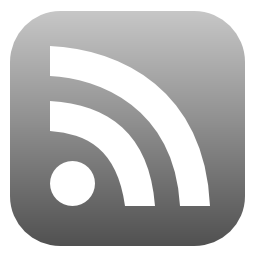 Copyright © 2019 SIMon A320. Powered by WordPress. Theme: Ample by ThemeGrill.